Le premier hybride réglable de Mizuno a un nouveau profil. Poignée : M-31 360 Mizuno. Marke Mizuno. Hybride Grenier Allongez Longueur de l'arbre. Flex Ladies. Schlägerart Hybrid-Holz. Model JPX EZ. Réglable Loft 10,5 à 14,5 degrés. CONDUCTEUR EZ MIZUNO. Standard Mizuno Grip. Équipé d’un Fujikura Orochi 45g Ladies Flex Graphite Shaft. Shaft Material Graphite. Club Type Driver. Joue: Droitier. Taille de la raquette : 4. Fabricant : mizuno Golf. Marke Mizuno. Équipé avec le commutateur rapide réglable de huit voies Hosel, vous choisissez votre loft souhaitée en un clin de œil à l’hybride CLK. Tige : Fujikura Pro HY (gris-turquoise). Le premier hybride réglable de Mizuno a un nouveau profil. Poignée : mizuno Golf pride grip h (gris-turquoise). Marke Mizuno. Hybride Grenier Allongez Longueur de l'arbre. Le premier hybride réglable de Mizuno a un nouveau profil. Poignée : mizuno Golf pride grip h (gris-turquoise). Marke Mizuno. Schlägergröße Hybrid 5. Beaucoup de bons joueurs plaignent qu’elle son hooken hybride. Le premier hybride réglable de Mizuno a un nouveau profil. Poignée : mizuno Golf pride grip h (gris-turquoise). Marke Mizuno. Hybride Grenier Allongez Longueur de l'arbre. La tête du Club assure une boule large et haute vol courbe, semblable à un bois de parcours. Model JPX EZ. EZ L'HYBRIDE MIZUNO. 4 hybride - 22 Degré. Shaft Material Graphite. EAN Does not apply. Grade Tour Clubs. Club/ Set Type Hybrid. Club Type Hybrid. Clubs de DEMO - mizuno ST 180 fairway bois 3 ladies Flex pour Rechtshänderinnen. Taille de la raquette : 3. Schlägerart Fairway Holz. Fabricant : mizuno Golf. Marke Mizuno. Vous cherchez une tête de Club plus plat avec un peu plus large jouant une surface rencontre Woods, produisant souvent haut spin du chenal. Clubs de DEMO - wedge IP pour le 60° / 10° bleu mizuno T7, graphite LZ X projet féminin. Schaftmodell : Graphite LZ X projet. Avec l’ajout de petites quantités de bore à l’acier nouveau, qui ont forgé les cales T7, un boulon est inséré cet inconvénient. The Mizuno MX-100 is a hybrid designed set that is the most forgiving set that Mizuno has ever created. This iron set has been played with great frequency. Groove wear may be heavy, but will not affect the playability of the club. MIZUNO PARAGON LADIES IRONS. THIS IS A RARE SET OF GOLFING ICONIC CLUBS AND WERE WELL OVER £700.00 WHEN NEW. PITCHING WEDGE. 9 IRONS ONLY ( NO BAG INCLUDED!). GOOD USED CONDITION AND LOOK STUNNING! LADIES STEEL DYNAFLITE SHAFTS. Used Mizuno JPX 825 Iron Set 5-P (5.6.7.8.9. Mizuno Condition Chart. Fujikura Orochi 50g Ladies Lite Flex Graphite Shafts. The single club photo is the 6 iron to show a reference to the length of the iron set. ). Up for sale is a Mizuno JPX EZ 5 Hybrid 25 Fujikura HY Ladies Flex Graphite Golf Club. Shaft: Fujikura HY Ladies Flex Graphite. Grip: Golf Pride Mizuno. Model: JPX 850. Manufacturer: Mizuno. I am not in this to make a quick buck. Shaft Flex: Ladies. Gender: Ladies. Shaft Material: Graphite. Loft: adjustable. I am human, and I make mistakes. Great balance of accuracy and length from the tee. This club has an adjustable 10.5 -14.5 loft, standard lie and 44" length. Fair: These clubs/iron sets have been played quite a bit previously, but still have plenty of play left in them. Model: JPX 900. Manufacturer: Mizuno. Grip: Mizuno Rubber Grip. Shaft Type: Graphite. Lie Angle: Standard. Shaft Flex: Ladies. Shaft Model: Fujikura. Shaft Length: Standard. Ladies 50 gram graphite shaft. Right Hand. Club shows minimal wear due to play. No major dings or scratches. Club is being sold in “as in” condition. 5 iron through pitching wedge. (6 clubs). Project X LZ 3.5 45g graphite shafts, lite (ladies) flex. Standard length, lie and lofts. The iron set is in good condition and is a 7 on the scale below. THERE ARE 11 CLUBS TOTAL. 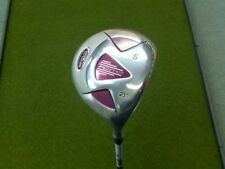 THE DRIVER IS A LADIES COBRA S3 MAX DRIVER. THE 3 & 5 WOODS ARE LADIES MIZUNO F-50 15 & 18 WOODS. 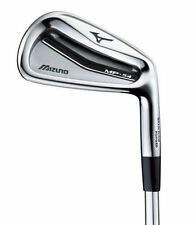 THE IRONS ARE LADIES MIZUNO NOVEL II OVERSIZE IRONS. THE SET INCLUDES IRONS 4,5,6,7,8,9, & PW. 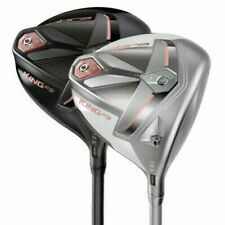 Mizuno 2017 CLK Hybrid 4 Hybrid 22 Fujikura Speeder Evolution HB Graphite Ladies Left Handed 39.75 in. Fairway Woods. 2011, 2012, 2013, and 2014 Mizuno Top 100 Fitter. Individual Irons. Head Covers. Left Handed. Club Type: Wood Gender: Shaft Info: FUJIKURA Lie Angle Dexterity: Right-Handed Shaft Material: GRAPHITE Loft: 25 Club Condition: New. We take actual images of the item you are buying! 1 New: Never been used. Mizuno T Zoid Comp CT 4 iron in good used condition. Good original ladies flex graphite shaft. Mizuno T Zoid Comp CT 6 iron in good used condition. Good original ladies flex graphite shaft. Grip - Mizuno 360. Loft - 18 Degree. Shaft Flex - Ladies (L). Head Condition - 10 New. Face Condition - 10 New. Mizuno JPX EZ 16 Forged Ladies Graphite Irons 6-PW. Model JPX EZ 16 Forged. Shaft Mizuno Orochi 55g. Grip Mizuno. Club Type Irons 6-PW. Shaft Material Graphite. Hand Ladies Right. Flex Ladies. This single 3 wood is in very nice condition with no ding or nicks on the head or shaft. The grip is a little stiff but playable. The head cover does show much wear and no value is given, it is functional. MIZUNO JPX 850 #5 FAIRWAY WOOD, NEW, 16-20 DEG. ADJ.,MOTORE 5.3 GRAPH, "LADIES"
Mizuno T Zoid Comp CT sand wedge in good used condition. Good original ladies flex graphite shaft, scratch to shaft as photo hence low price. 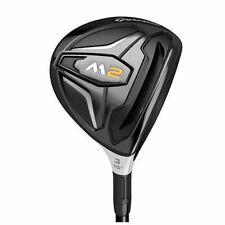 Mizuno jpx-ez 4 22 hybrid. 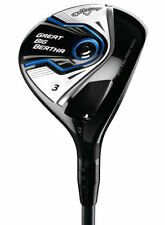 Ladies 50g LL graphite shaft. Mizuno m-31 grip. About 40" Condition used good. No headcover. Next, the JPX 900 has Mizuno"s quick switch shaft release system, which allows players to adjust the loft of the driver from 7.5 to 11.5 degrees of loft. This driver has been played in an appropriate fashion. 5 iron through pitching wedge (6 clubs). Project X LZ 3.5 graphite shafts, ladies flex, 45g. Standard length, lie and lofts. The iron set is in good condition and is a 7 on the scale below. MIZUNO CONDITION CHART.